Those who never had anything to do with the cement, hardunderstand what concrete solution and how to cook it properly. But even experienced builders are not always aware of all the subtleties of working with him. 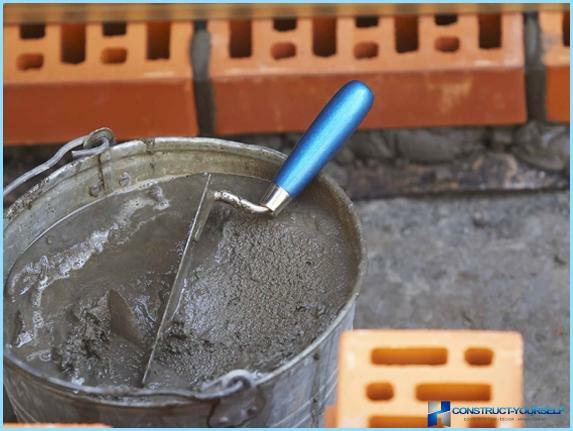 In this article, we will describe not only the process of preparation of a concrete solution, but also the proper selection of its components. Independently prepare a concrete mixpouring the foundation of small concrete constructions, easy to track. Knead it can be in any of the old bath tub, box or downed wooden board. In the manufacture process of a small amount of solution can be mechanized using a drill with special nozzles. If you need a lot of concrete, it is necessary to use an ordinary shovel, small garden fork, hoe or other suitable device to the case. But, before you begin kneading, should choose high-quality cement, gravel and sand. The strength of our solution will be determinedFirst of all it is the quality of cement, so it is the right choice is particularly important. 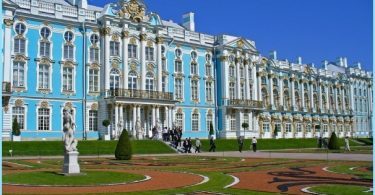 Plants producing similar products, in Russia a lot, and they sell it, usually in neighboring areas. Therefore, it should be guided not so much on the manufacturer, as the external appearance of cement. Be sure to pay attention to the dateproduction - with dramatically reduced its activity over time. 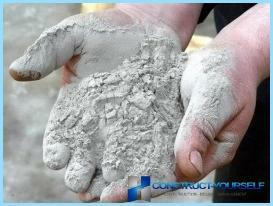 Fresh cement during compression in a fist does not turn into a ball and easily wakes up between his fingers. Especially rapidly losing properties during storage quality product of fine grinding. after drying (in a month) in the ready-mixed concrete it is very difficult to drive a nail. 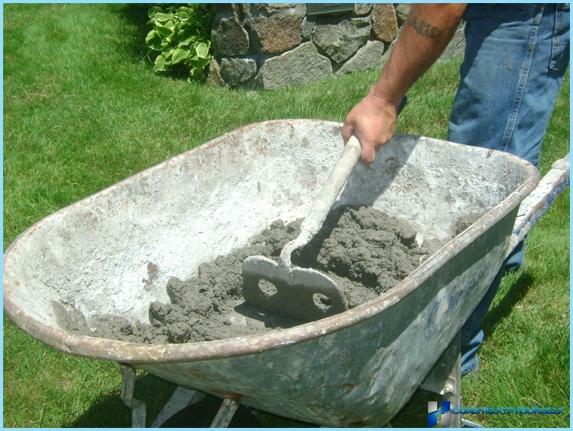 ON A NOTE: Check the quality of the cement can be purchasedin the following way. Stir a small portion of the concrete in the right proportions, and then pour it set a chisel and hammer to hit. Qualitatively concrete only a slight trace left after the impact. If metal chips away small pieces - cement grade 200. Chisel punched a hole in the concrete size of half a centimeter? Brand cement is not higher than 100. Solution depends on the strength of cement. When the designation figures after the letters M, means the ability to withstand a load of 1 cu. cm. 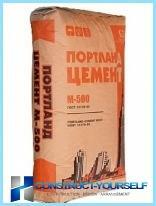 That is, M200 cement can withstand a load of 500 kg per cubic centimeter. Naturally, the higher the grade, the stronger will concrete. Special brand strength 600-700 rarely used, so when dealing with complex or multi-tier designs make better use of M500 grade cement. Code letters following the numbers,means that it contains additives. For example, the product brand M500 B - fast setting, VRC - waterproof, BC - white, designed for finishing. BTS20 designation would mean that it contains 20% lightening of impurities. 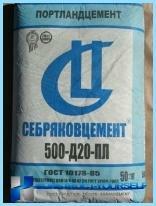 The most important addition for us - PL - making it frost-resistant, so it is advisable to use it for outdoor work, especially in Siberia and the North. 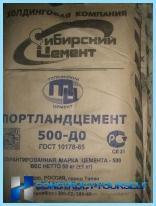 For prolonged storage cement powdercompressed, compacted and its share is increasing. Therefore, if you bought it in advance, be sure to store it in a dry place, protected from drafts location. It is desirable to further wrap paper bags with plastic wrap. Note that after six months of storage the quality will decline by at least a third. The best sand - river. It is washed with water and, unlike the career does not contain impurities. When working in the winter it is better to use the river, completely free of clay inclusions. At sub-zero temperatures of lumps poorly soluble in water even after prolonged stirring, and the concrete surface will be rough. Dolomite, limestone rubble oftenused to create a small lightweight construction, the quality of which is not subject to high demands. Gravel or granite material is more durable and able to withstand the low temperatures. IMPORTANT: When you purchase should remember the most important rule. Dirty gravel or sand - the main enemies of good and high-quality concrete. 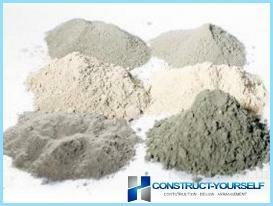 Mixing ratio directly depend on the concretewhat brand (ie, a strength), it will be necessary. The most common ratio when using the brand M500 - 1: 2: 3 (ie, need part cement, two sand and gravel are three). The higher the grade, the lower leaves of cement. Therefore, the proportion for the M350 will be the other. In any case, the ratio of water and cement should be less than 0.5. To produce enough garden pathM200 concrete and small fillers (pebbles or gravel). A good and durable asphalt obtained from grades 300 and above. For the foundation, of course, need a more robust construction. The ideal option would be M500. On average, one cubic meter of mixture needed 6-7 M500 bags of cement. IMPORTANT! Remember that cooked mixture hardens very quickly, so you need to use it for half an hour. In no event should not be attempted during solidification dilute it with water. To avoid the formation of lumps nepromeshennyh,water is added only after mixing cement with sand. Mix for plastering must sift through a sieve with mesh size of 5 mm for ordinary work can use a larger cell. IMPORTANT! Excess water will adversely affect the quality ofsolution - after drying, it is less durable. Not too liquid mixture, in contrast, can be compressed further, thereby increasing its strength. The ideal mixture has the consistency of cottage cheese. In cold weather, clean, without majorwater impurities, it is desirable to warm up a little. 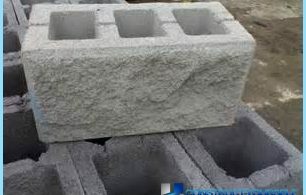 In order to avoid the formation of lumps in the first container is filled with the prepared mixture of sand and cement, and then to add water. When solidification bad Placing solution formed fragile structure, prone to fracture.